Who is Alfred? The newest member of our family and my very special holiday helper. He's only been with us a few days and we (both Jeremy and I) are head over heels in love. 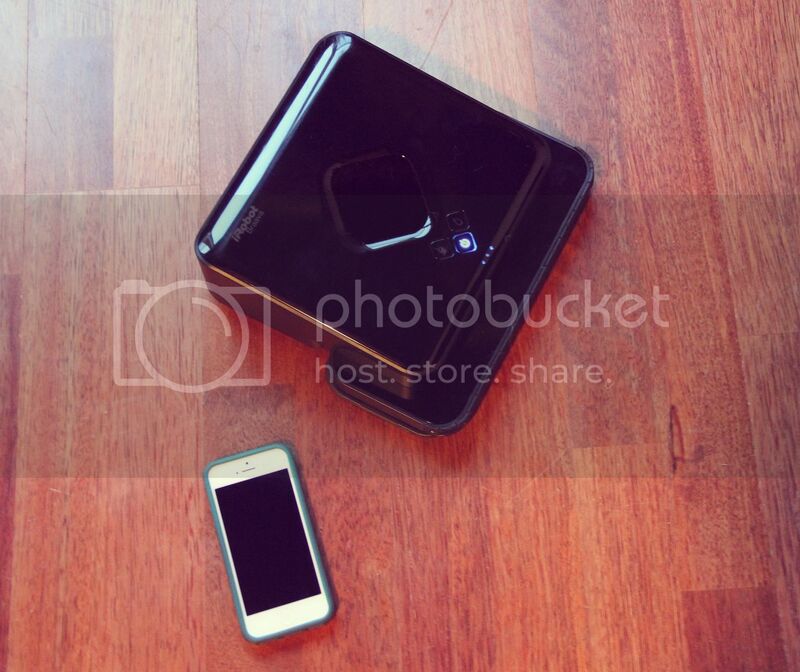 Alfred is our brand new Braava 380t robot from iRobot. He's both a dry and wet floor mop and he's perfect for us since our condo is pretty much entirely hard wood floors. Before he arrived, pretty much every other day one of us got out the mop and a microfiber cloth and swept up all the dust. I don't know where it all comes from but it's so much better when the floors sparkle. Now, all we have to do is turn Alfred on and he goes to work! It's wonderful! • Two Cleaning Modes for Damp And Dry Cleaning: Uses either disposable cleaning cloths, including Swiffer brand or Braava’s specially designed reusable microfiber cloths. • Whisper-Quiet: Quiet motors, soft-touch bumper and careful system design enable the robot to operate without disrupting your daily activity or sleep. • Returns To Where It Started: When Braava is done cleaning, it returns to the place where it started and powers down automatically. • Cleans All Hard Floor Types: Braava works on all hard surface floors including tile, vinyl, hardwood and laminate. • Pause/Resume: The robot retains a map of its cleaning space so that you can replace the cleaning cloth mid-cycle and it won’t miss a spot. • Tracks Where It Cleans: The NorthStar Navigation System works like an indoor GPS that helps Braava keep track of where it has been and where it needs to go. 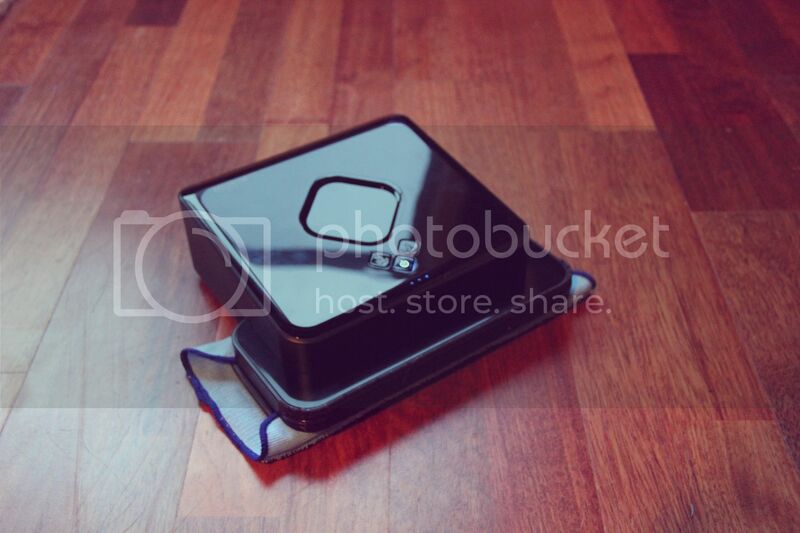 • Cleans Under Furniture: Because of its compact size, Braava can clean under sofas and tables and get into tight areas where other cleaners can’t. • Follows The Wall: Wall-Following Technology allows Braava to clean dust and dirt right along walls, baseboards and edges. • Won’t Hurt Furniture: A soft-touch bumper cushions the contact made between Braava and walls, furniture and other objects. • Avoids Stairs and Rugs: Smarts sensors, including cliff-detection sensors, help Braava avoid stairs, area rugs and raised transitions to carpets. 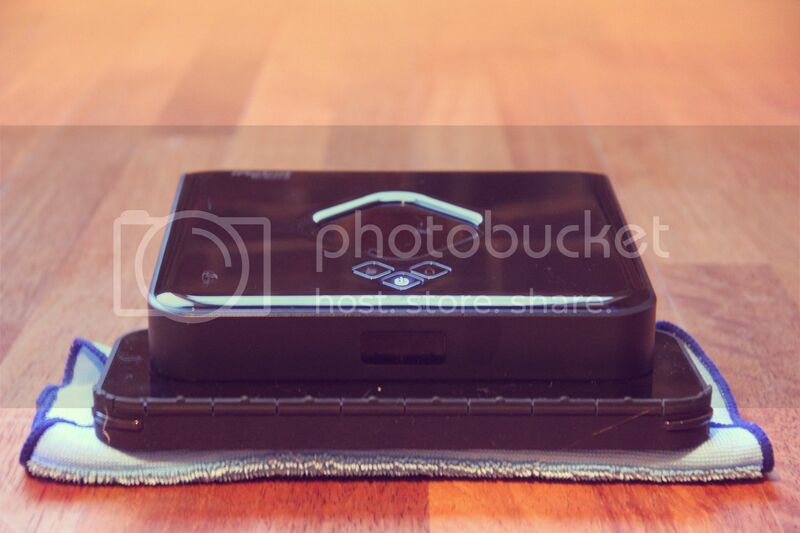 • Easy To Carry: Braava has a convenient handle for easy pick-up. Yeah, he's pretty perfect. Alfred, our Braava 380t robot from iRobot, has been a great addition to our family and would make an amazing Christmas gift for anyone you know who owns a home and needs a little helper. I don't have to spend all my time sweeping up our floors! Little Alfred does all that work for me. I can now spend the holidays doing more important things. For more information, check out the iRobot website! I was given a Braava 3807 robot from iRobot in exchange for my honest opinion. My mom got something similar for Christmas last year and thought it was a dumb gift. Now, it's her favorite gadget and she recommends it to everyone! As soon as Adam and I get a house of our own, we will be making a purchase like this!